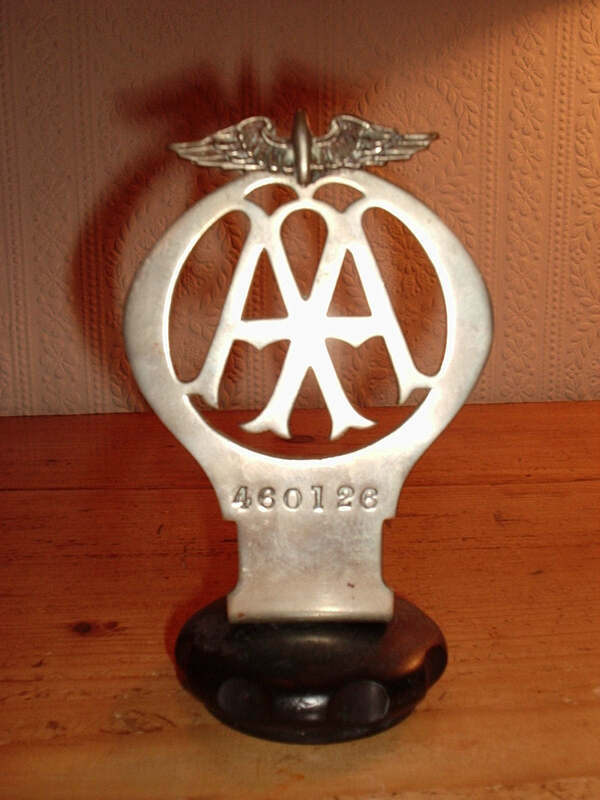 Old AA badge mounted on radiator cap. New member - a most fascinating forum! Can anyone assist me in identifying an old AA badge, number 460126. The badge is brass and mounted on a bakelite? radiator screw cap.